All India Radio, Ryan Adams , Blue Bliss, Moby, Emancipator and more. 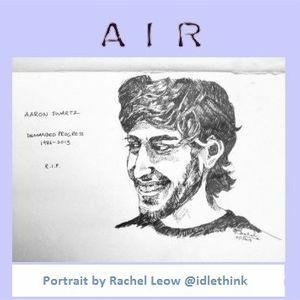 On Jan. 11th word filtered thru Twitter of the death by suicide of Aaron Swartz, an outcome, at least in part, of his persecution by the US DOJ on copyright violation charges. I didn&apos;t know this man personally, but it was impossible to miss how loved & respected he was; "Air" became a meditation reflecting that outpouring of love & respect & profound loss. A note about the choice of the Keith Jarrett track that closes out the set ... Biting intelligence, free-ranging emotion, complexity and courage are the things I encounter when I hear this piece. And these things are also what his friends and acquaintances saw in Aaron. Altho&apos; the Koln piece conveys a measure of sorrow, there is also a refusal to settle for that, there&apos;s an insistence on the spirit&apos;s ability to soar above. And that&apos;s what I wish for all who were close to & touched by Aaron.